Late on a Saturday in April, I discovered there was dirt in places I’ve never expected to find it in. And for the first time in years, I’m not talking just about autism! On that fateful Saturday, I completed my second Gladiator Rock N Run. Let me just say I skew the median age quite a bit. It is a bunch of participants in their 20’s and 30’s mixed in with folks like me – in the more than 40 something category! That’s 4,000 or so of us getting dirty for a good cause–becoming Gladiators just for that one day. Here is the premise of this event: there is a whole lot of mud, obstacles of walls, pits, water and more mud, and about 7k of running. What is hard is running after you’ve been water or mud-soaked, but the obstacles are something else! They require ropes, tunnels, mud (surprise! ), water and pure energy. Let me tell you: I just love this event! Turns out that autism moms and dads love this day. 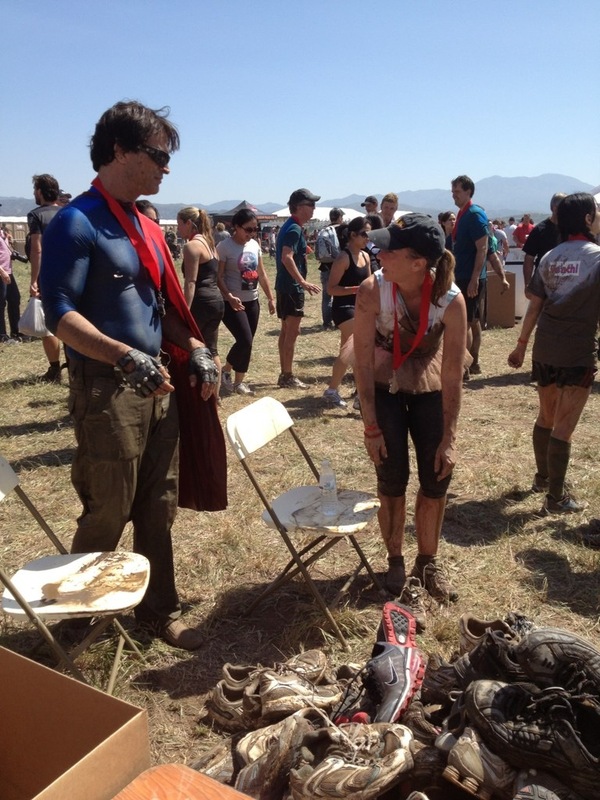 We aren’t afraid of getting dirty, and what’s even better is that these efforts benefit TACA. These events don’t count on athletes, but people and teams who just want to show they are Gladiator tough. Like most things (think recent OC Half Marathon), I don’t think I’d do them if it wasn’t for TACA. I dedicate at least 60 hours of my week to TACA. Usually after school Jeff will be in tow smiling because we always have fun. This event came as a great gift from TACA board member Chad Fitzsimmons. Chad met the organizer via Jack FM and he wanted to involve a charity. Chad is always thinking about TACA and the families we serve. Who is this original Gladiator you might ask? Well the one and only “Nitro” from the incredibly popular Gladiator TV show. Dan Clark is his God-given name, but Gladiator Nitro is what he is! What he has accomplished is pretty incredible. He turns parks into a mud obstacle and a one-of-a-kind rock and roll adventure race. It turns out Dan “Nitro” Clark wants everyone to feel like they are on that Gladiator show, even if just for a day. Filled with fanfare and well ….challenges! The final product is self-confidence and pictures that are more than Facebook worthy. Challenges included walls to scale in many shapes and sizes, ropes to climb, mud tunnels to conquer, and obstacles that look like the Navy Seals’ concocted. Did I mention I’m 47 and not in the best shape? 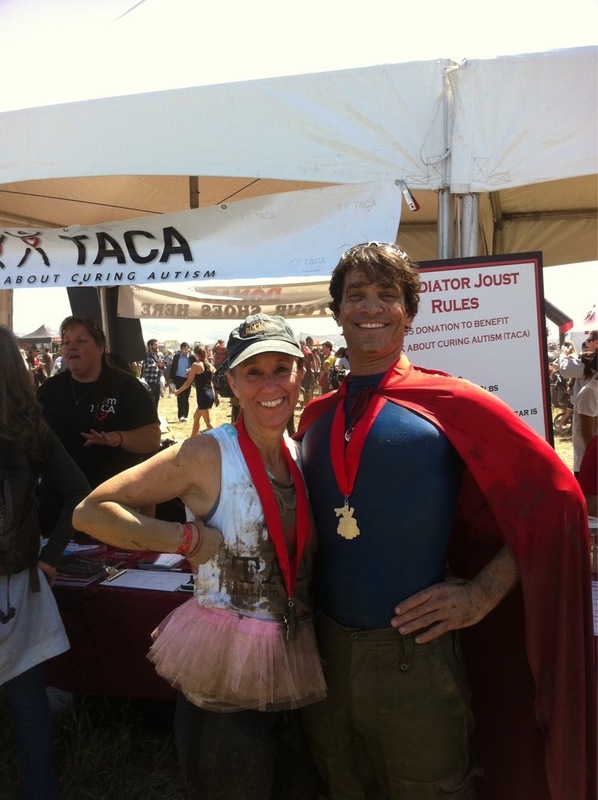 My partner this year was a long-time TACA friend, actor and brilliant writer Johnathon Schaech. He was an awesome partner and I am 100% sure without his help I wouldn’t have made it through the obstacles attempted. We spent a lot of time laughing! What’s pretty amazing to me is not only how unique and fun this event is but the philanthropic principle behind it. Since day one, Dan has been adamant about making this day a memorable experience for all involved. He also wanted to involve a charity to benefit in every facet of the day. We are extremely excited about being part of these events but even more thrilled with a partner like Dan and his team. They make our weekends fun and in many ways helping TACA and the families we serve. In my autism journey, I’ve handled a lot of poop – so what’s a little mud? 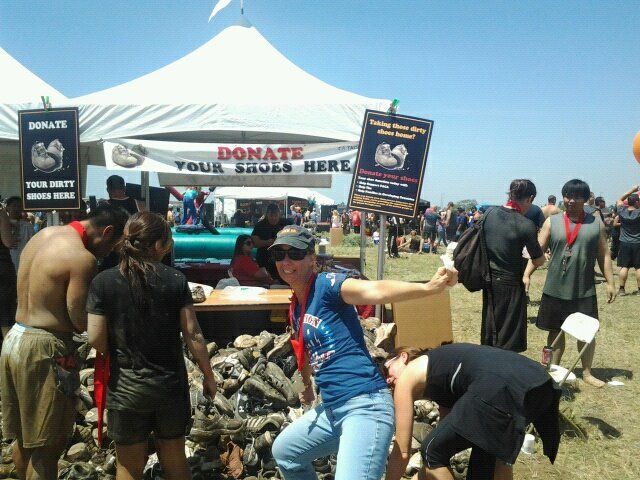 What’s even better – I can now say I am Gladiator tough., twice! I can promise you, there will be a third and more times after that. Now, here is your chance to sign up! Gladiator events are popping up across the U.S. It is a great way to build team, fundraise for TACA and have some awesome pictures to show your participation and becoming Gladiator tough! Who’s in?